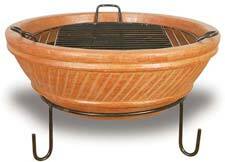 Chimeneas, made in Mexico, are outdoor stand-alone fire pits built from clay. 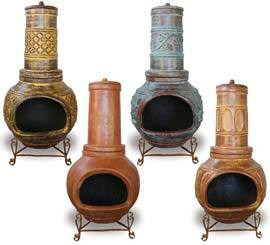 Unlike fire pits made from metal, Chimeneas are insulated so that when one is lit, they are warm to the touch and will not burn you. With their built in smoke stack, they are perfect for groups of people who want to sit around the fire without having smoke blown into their faces.